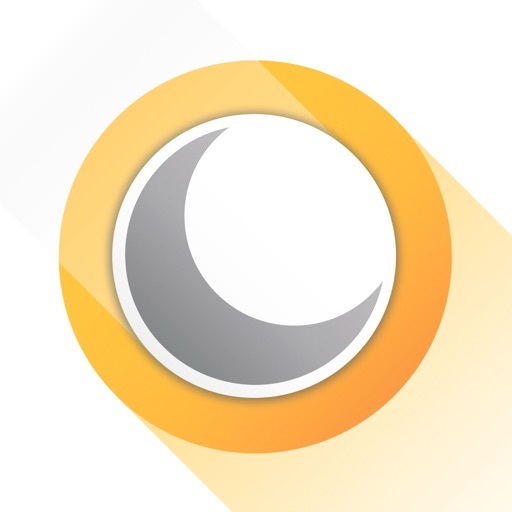 Always be prepared for the task at hand with Tasker! 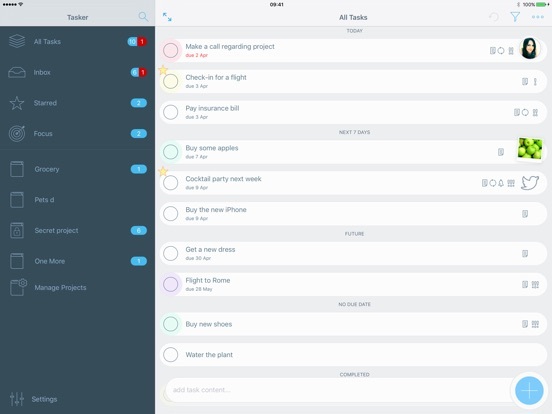 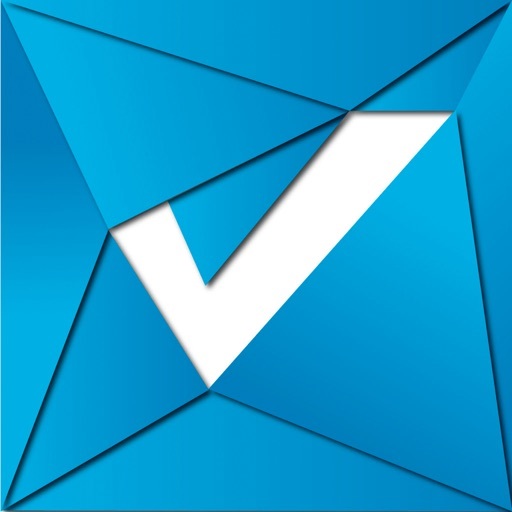 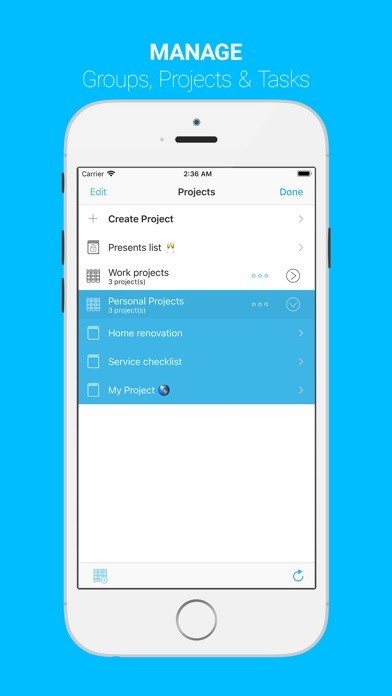 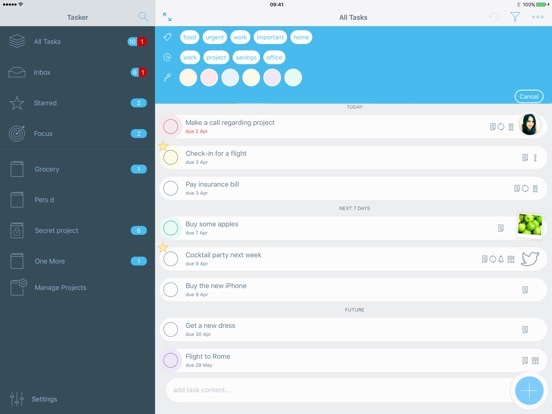 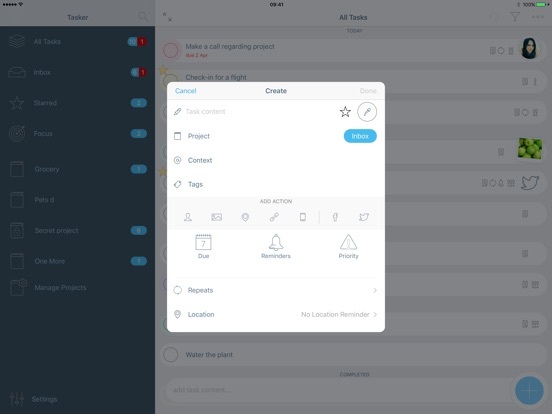 Take your to-do list and project manager app wherever you go. 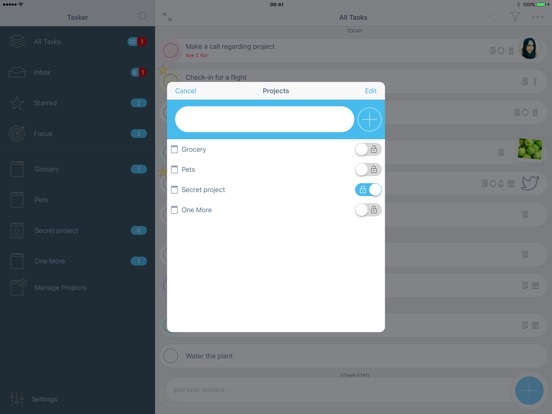 Keep track of your projects and tasks with the “Today” widget, and with the Apple Watch app you can review and create tasks on the go. 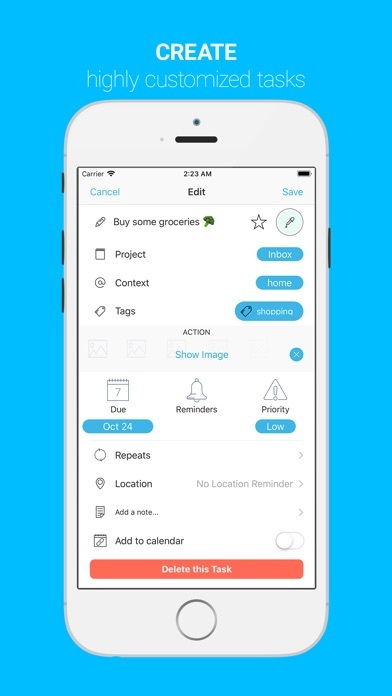 Include contacts, maps, photos, links, due dates, and even connect to Facebook and Twitter with just a simple tap. 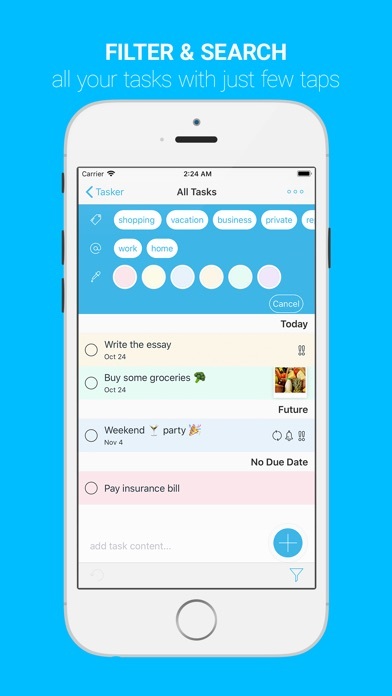 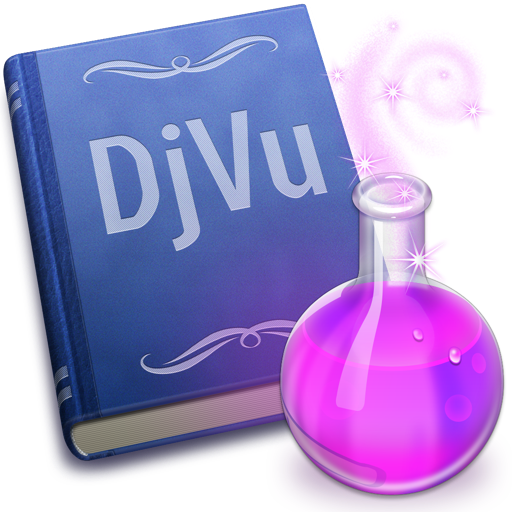 Organize your tasks into projects, or prioritize tasks by their importance. 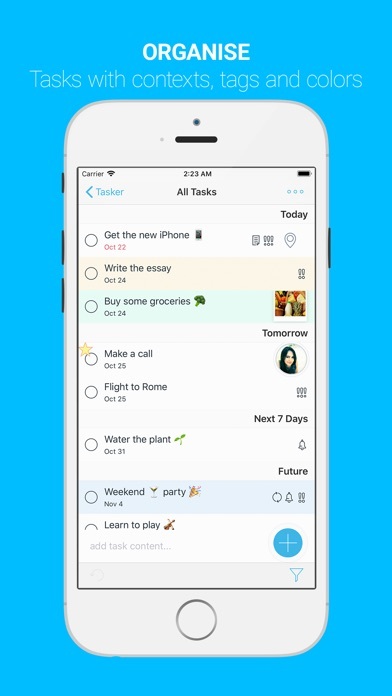 Make every day a success with Tasker!